Hong Kong, September 27, 2011 – In an effort to promote collaborations, explore potential of joint ventures and cultivate partnerships with Hawaii technology and life sciences companies, CUHK and the Hawaii Business and Entrepreneur Acceleration Mentors (HiBEAM) today signed a Memorandum of Understanding (MOU) outlining their plans to work together to explore ways of collaborations in the future. 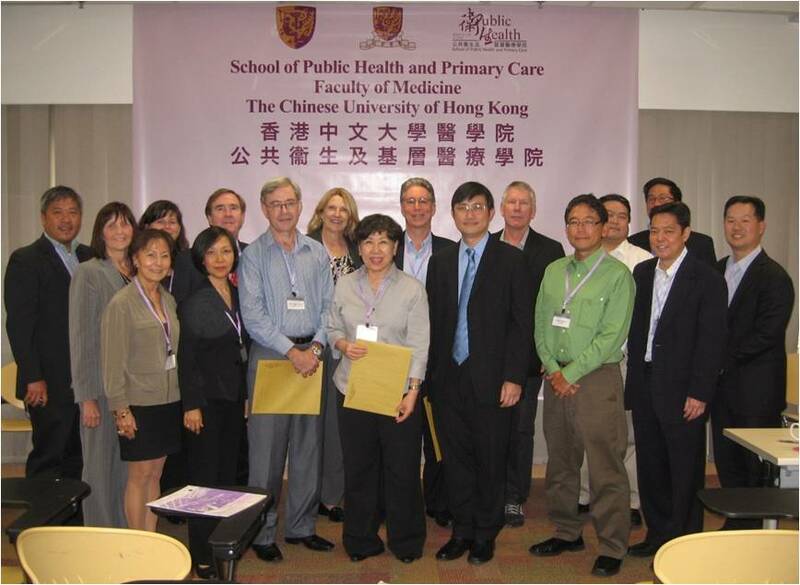 CUHK was represented by the Director of Center for Entrepreneurship, Prof. Hugh Thomas and the Director of the Centre for Clinical Trials, Prof. Benny Zee. The Executive Director of HiBEAM, Dr. Bee Leng Chua signed on behalf of HiBEAM. HiBEAM, a not-for-profit organization, was created to help launch and build promising early stage Hawaii technology, biotechnology and life sciences companies by providing expert professional advice and access to funding sources. HiBEAM will help develop in Hawaii an entrepreneurial culture that encourages risk-taking, enables local technology companies to compete successfully in global markets, attracts capital, strengthens and diversifies the economy, and creates well-paying jobs. HiBEAM assembles teams of advisors to function like a “virtual” or “shadow” board of directors for client companies. The virtual board is drawn from the finance, entrepreneurial, and professional services sectors. HiBEAM tailors the composition of each virtual board to fit the specific needs of the entrepreneur. HiBEAM also assembles teams of advisors to help early stage entrepreneurs, scientists, and inventors through a Springboard Forum process. The Chinese University of Hong Kong Center for Entrepreneurship was inaugurated on May 24, 2005 and is a research center under the Asia Pacific Institute of Business (APIB). The Group is an interdisciplinary association of scholars united by the research, teaching and community service in promoting entrepreneurship. Professors Kevin Au and Bee-leng Chua of the Management Department, Hugh Thomas of the Finance Department and Wong Kam Fai, Professor of the Department of Systems Engineering and Engineering Management are the core members. 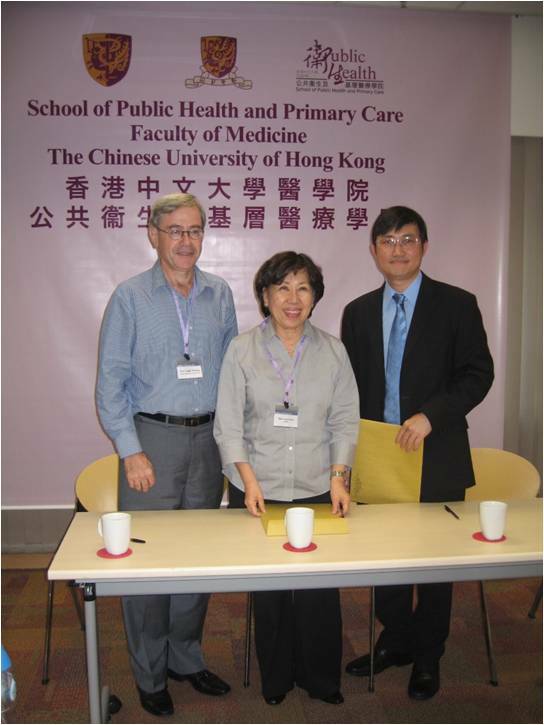 Prof. Kwok Siu Tong was instrumental in launching many initiatives which led to creation of the Center. In addition to this core group, more than 15 faculty members from across nine university departments are involved in the Center’s activities. The Center closely cooperates with the university’s Research and Technology Administrative Office and the Center for Innovation and Technology (CINTEC), the Hong Kong Government’s Department of Trade and Industry, Hong Kong Science and Technology Park, the Shenzhen Academy of Social Sciences and many entrepreneurs and venture capitalists in the Pearl River Delta.